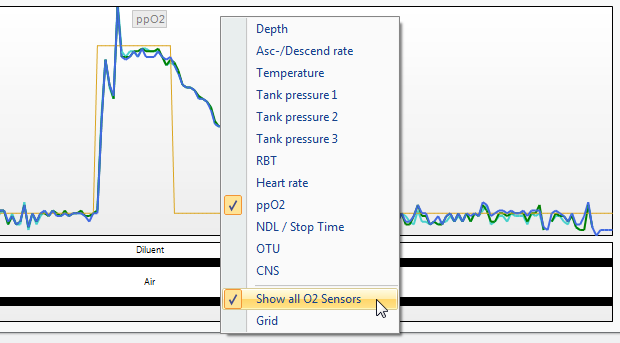 Since the upgrade of my Inspiration Rebreather to firmware 7.0, and the replacement of AP Log Viewer by AP Divesight, the data import from the CCR to DL6 is now wrong. There is something not working with the time code in the data table, the dive are shorter in DL6 than in reality (I attach a copy of the data table copied from Divesight (and imported in DL) of a dive that last 65:52, and after import DL only get 52:24). Thanks, I'll look into this issue! Thank you, I've fixed the import for the new Divesight viewer format. Please download this zip file and copy the content into the Diving Log 6.0 program folder. Please let me know if the import works now. Is this fix still current on top of 6.0.13 (update 1)? I am seeing this issue. Yes, this fix is not yet included in the latest official update, so you can apply it safely. Done! Thanks for the swift reply. Is there anyway of fixing the 20 or so dives I have before I noticed the issue? You can only delete the profile in the profile tab of the logbook toolbar and then importing the dives again, selecting "Update existing dives" in the last step. This will re-create the profile data. There is unfortunately no better way (except deleting dives completely). Ah! Didn't know you could even do that... Only 20 or so dives, I will do that. Thanks for the fast update and great diving log! Hi, sorry for having been quite long to come back, yes it works perfectly now with the fix. As a matter of fact, I was dowloading a set of dives from my Inspiration, and find out another small "bug" in Diving Log : as it happened, my B1 Battery on the rebreather was totally dead, I was diving only with B2. Hence C1 was not measuring any PPo2...And Diving log get only PPo2 from C1 in the file, not C2, so I have a nice "0" on all PPO2 values, though the C2 PPO2 were ok. Frankly, this is a really abnormal situation, I cannot blame Diving Log for this (but I can blame AP Diving for the crap rechargeables batteries, twice they died on me unexpectedly during dives, and each time I have to send the lid back to factory to get it fixed...).